Modline linear modules are ready-to-use linear guide systems with high accuracy, speeds and load performances. systems has allowed us to widen our product range with the most advanced technical solutions. 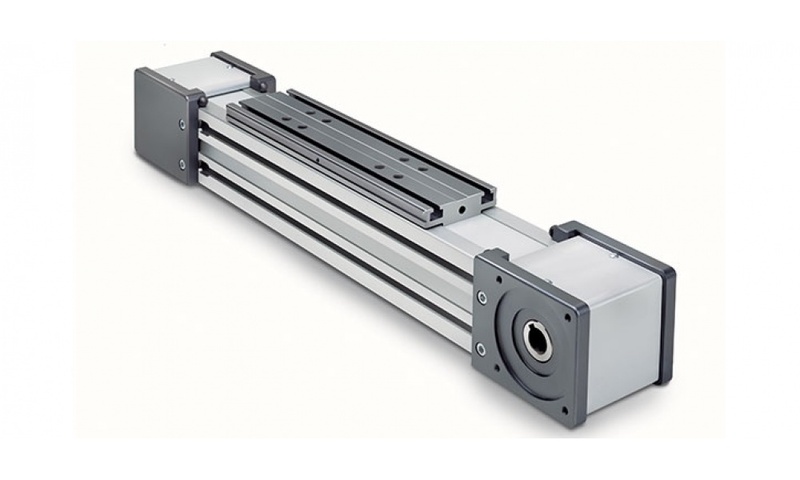 The ECO SYSTEM units are linear actuators made of a self-supporting extruded aluminum frame and are driven by a polyurethane belt with AT metric profile steel inserts. The E-SMART series linear units have an extruded and anodized aluminum self-supporting structure with a profile available in four sizes from 30 to 100mm. Transmission is achieved with a polyurethane steel reinforced driving belt. Also featured is a single rail with one or more recirculating ball bearing runner blocks. The R-SMART series linear units are particularly suitable for: heavy loads, pulling and pushing very heavy weights, demanding work cycles, possible cantilever or gantry mounting, and operation in industrial automated lines. The extruded and anodized aluminum self-supporting structure with a rectangular section is available in three sizes ranging from 120 to 220 mm. Transmission is achieved with a polyurethane steel reinforced driving belt. Also featured is a dual rail system with four or more recirculating ball bearing runner blocks. Multiple sliders are available to further improve load capacity. These units are best used in applications requiring very heavy loads in extremely confined spaces, and where machines cannot be stopped to carry out ordinary system maintenance. The S-SMART series linear units were designed to meet the vertical motion requirements in gantry applications or for applications where the aluminum profile must be moving and the carriage must be fixed. The self-supporting extruded and anodized aluminum structure is available in three sizes. 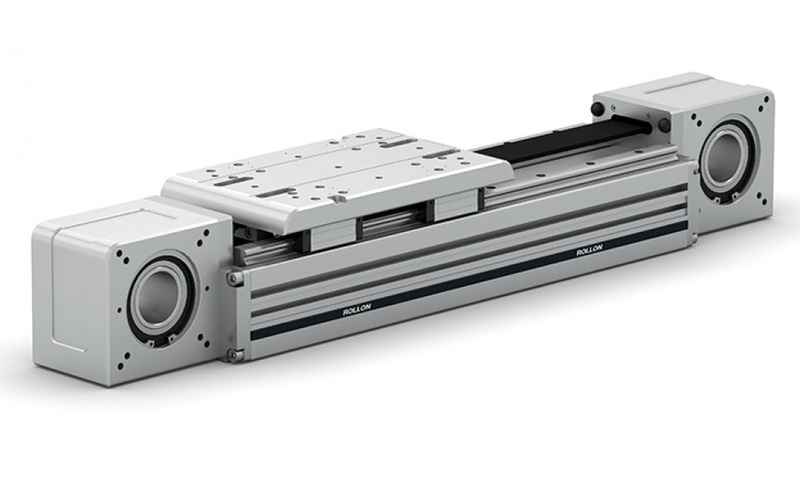 Since it is a rigid system, it is ideal for a “Z” axis in a 3-axis system by using a linear guide rail. In addition, the S-SMART series has been specifically designed and configured to be easily assembled with the R-SMART series by using a simple bracket. 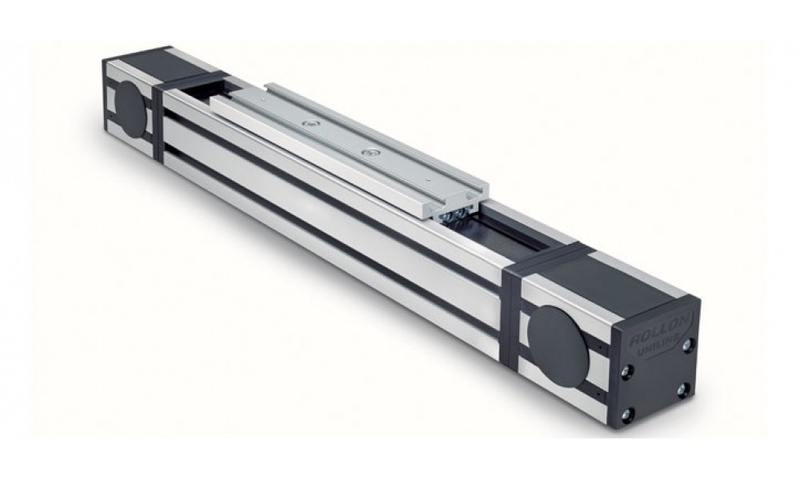 The ONE series actuators are belt driven linear actuators specifically designed for Clean Room applications. The ONE series is certified compliant with ISO CLASS 3 (DIN EN ISO 14644-1) and CLASS 1 US FED STD 209E cleanroom standards by the Fraunhofer Institute IPA in Stuttgard. on the drive and idle head. All internal components of the ONE series actuators are designed to minimize particle release. Component materials are limited to stainless steel. Where stainless steel is not an option, special treatments are used to ensure low particle release.